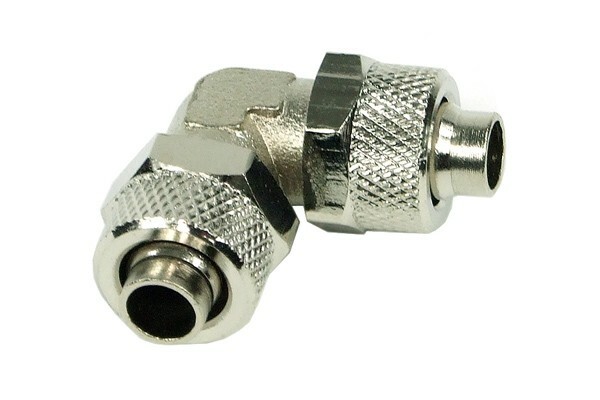 High quality hose connector made from high-grade brass. Eye candy for any cooling system, but not quite as cheap as the 90° plastic connectors. Both hose endings are stuck onto the fitting and tightly held in place by the union nuts. This system ensures maximum safety and ease of installation.